Every once in a lifetime you might find yourself 'on a magical mystery tour.' Cyprus, the island of love, was such a place and time in my life. I was day dreaming in the early morning hours and my thoughts flitted through the very marvelous facts that make Cyprus an adventure a day. The land is owned by the women... most men have a mistress on the side but only after the wife is the mother of his two children... she doesn't worry about it much because she'll always have a roof over her head. Not worry? Well, that's not exactly true. A piece came out in the Cyprus paper which attempted to give pointers to Cypriot women on how to keep their men at home. As I recall it went from breast implants to hair removal to buying the latest European fashions to diet and physical appearance. Many families find themselves trapped in the swirl and give their budding daughters a sweet sixteen pair of breast enlargements. That was 2008... things might have changed? Every karob tree on the island is owned by a family even if it sits on someone else's property. It used to be a huge industry on the island. The KEO brewery is owned by the Church. The miracle of Cana continues? King Richard the Lion hearted after fleeing his fortress in Acre was the only king of England to marry without the coronation stone of scone which legend says was the stone upon which patriarch Jacob laid his head when he had his dream about ladders and angels. He married his lovely Berengaria who rushed to his side to become his bride on the island of love. 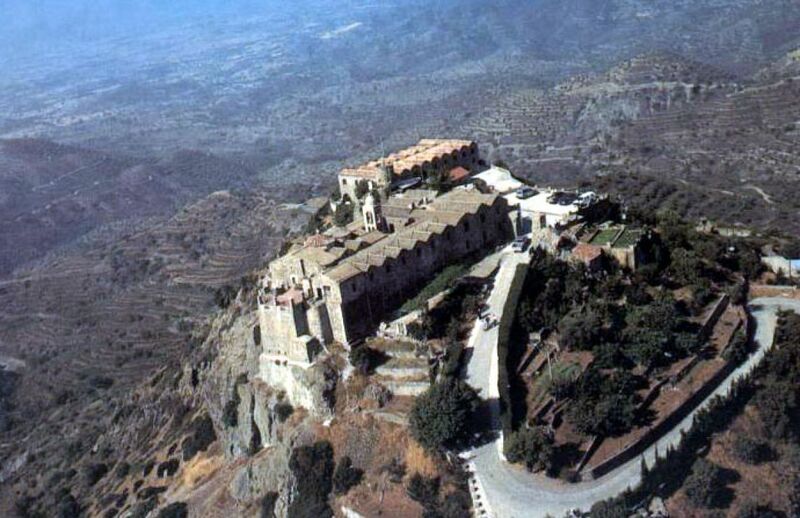 Visit the monastery of Stavrovouni and be prepared to put on long pants and cover your arms for it is said that monks with sexual urges are sent to recover. I don't know if that is true or not but you will cover up or not go in. I talked about St. Lazarus and kissing the skull. St. Helena also dropped off a piece of the real cross having been shipwrecked on the island. And here is the rest of the story. She had a dream of an angel instructing her to build churches in Cyprus as she did in Jerusalem and leave pieces of the Holy Wood there. 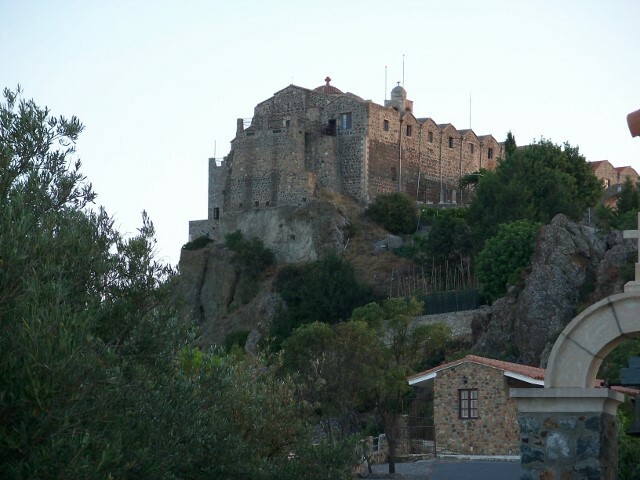 When she awoke from her dream one of the crosses was missing but was found by divine will at the top of Mount Olympia where she built the Monastery of the Cross, known as Stavrovouni. She left a fragment of the Holy Wood as well as one of the Holy Nails in a silver cross at Stavrovouni, which for many years was suspended supernaturally in midair.